It has to stop NOW ! 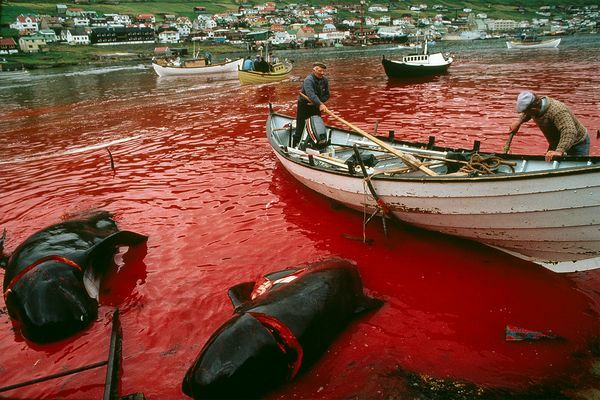 this obscene slaughter of Pilot Whales in the Faroes. There are endless stories of pilots guiding mariners to safety. These are miraculous creatures about whom too little is known. These are creatures of great intelligence. What are the reasons for this disgusting spectacle? 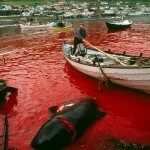 These are sub human sadists conducting this stupid massacre. Danes are you proud of your countrymen ? Is this what you are ? Eli Weisel a holocaust survivor said he could understand the sadists in the camps but never the blank silent stares of those that watched the trains go by . Where are your voices? Concerning the by now famous tatoo of the french swimmer Fabien Gilot (I am nothing without them) If this was indeed a tribute to the Israeli victims of the Munich massacre of 1972 . 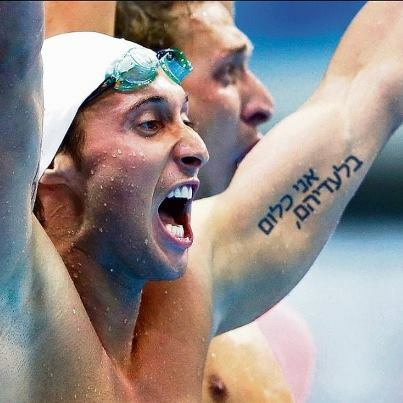 This , like the Italian team’s minute of silence outside the Israeli team quarters was an act of extreme nobility in the most profound spiirit of the Olympics . In ancient Greece, Olympia and the games were a sacred place of peace . This was the first principle of the Olympics ,that the city states of Greece very often involved in vicious civil wars could come together in peace and regardless of differences,their athletes could look each other in the eye and recognise for a brief moment a common humanity and a cause and a principle greater than their differences, and if everything else is corrupted this should be remembered, it is symbolised in the Olympic flame and the honour given to the Greek athletes to lead the parade of athletes . Thus the athletes of Italy and France earn my profound respect and gratitude that they have up held this tradition .